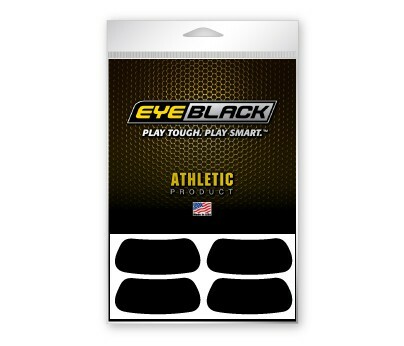 EyeBlack specifically built for field use by the athlete, tested and built to perform. Breathable high end materials that allow the under eye tape to perform under hot humid conditions as and is very safe on the skin. Wear the same black under eyes in football, softball, and more that the pros wear. Great for both Athletes and Fans! Easy to use, just peel and stick. For a pack of our smaller design, see our small under eye black sports stickers.